They’re calling it the ultimate amenity, and for anyone who loves books and technology, it is. 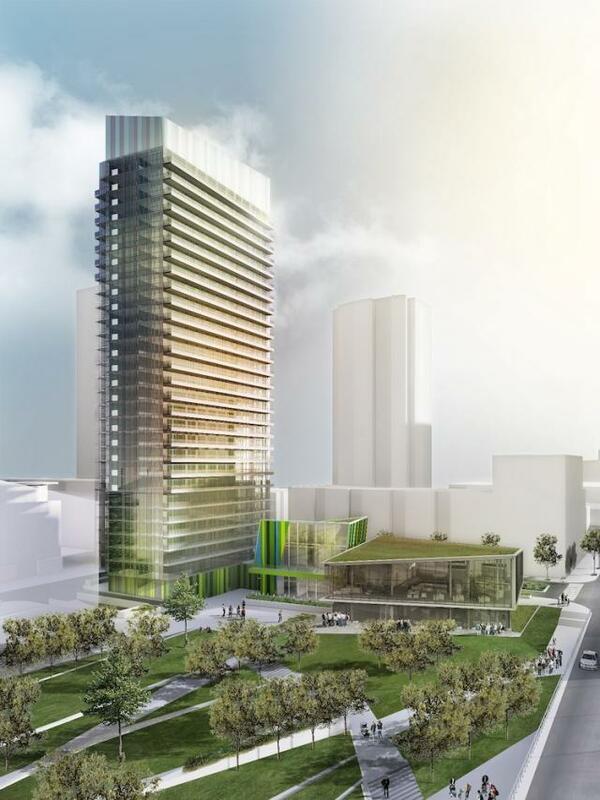 The city’s 99th Public Library Branch just opened at 190 Fort York Boulevard to anchor the brilliant new community, Library District Condominiums. Context Development enlisted KPMB Architects to design the neighbourhood, which has been received incredibly well by the buying public. The Library and condominium are a beautiful addition to this Downtown West location, at the mouth of the Creek Park, above Fort York and near the lake and bustling King West. A recent hit in the media, the new 16,000 square-foot Public Library Branch features 3D printers, DJing equipment, digital innovation hubs, 35,000 books and a computer centre with access to the entire Toronto Public Library’s electronic catalogue. Imagine having this facility right in your backyard! And that’s no exaggeration. The Library actually connects to the 29-storey condominium residence via an open terrace equipped with Wi-Fi. Inspired by its location next to the Library and historic Fort York, Library District Condominiums’ striking architecture nods to books lining shelves and the green spaces and walking paths that lead to the Martin Goodman Trail. The lobby is appropriately lined with stacked bookshelves, and amenities extend to the three-level pavilion called the “Author’s Club.” The party room, outdoor terraces, gym, saunas, media room, lounge and guest suites offer beautiful park views. Suite features and finishes range from porcelain and wood flooring to horizontal flip-up upper kitchen cabinet doors and a quality appliance package. Context has also included numerous green features that save on energy use and homeowner costs.